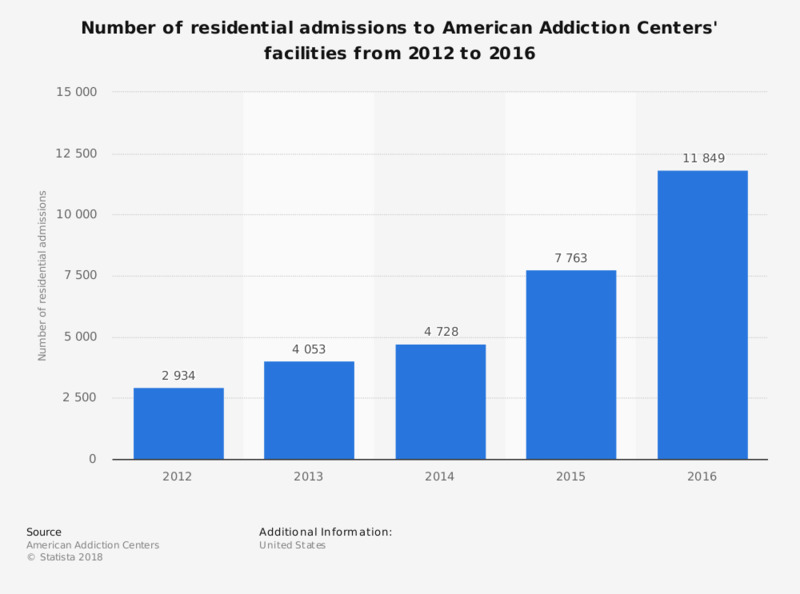 This statistic shows the number of residential admissions for addiction recovery treatment to rehabilitation centers owned by American Addiction Centers in the U.S., from 2012 to 2016. In 2016, American Addiction Centers had 11,849 residential admissions, an increase from 2,934 in 2012. Figures for the year 2012 were taken from the previous year's report.